Once again My Little Box pulls it out of the bag with another great box. Each month the contents of the box always impresses me and I'm starting to think why I ever subscribed to others and how come MLB has only just come to the UK. 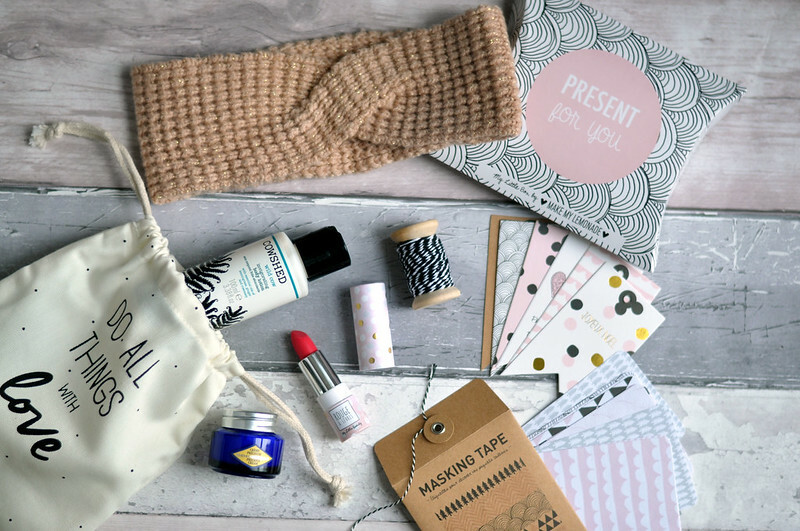 Inside the little drawstring beauty bag is L'Occitane Immortelle Precious Cream, My Little Box Lipstick and Cowshed Wild Cow Invigorating Body Lotion. The lipstick, despite looking incredibly bright in the bullet, it's actually quite a sheer moisturising lipstick and lip balm hybrid. I was hoping it would be as bright as it looks but also quite pleased that it's sheer as I'll be able to wear it more often. I haven't really tried any skin care products from L'Occitane before but my mum has and she's liked what she's tried. I'll be saving this cute little blue jar for when I run out of my current moisturiser. You can tell this months box is all about the holidays and Christmas. 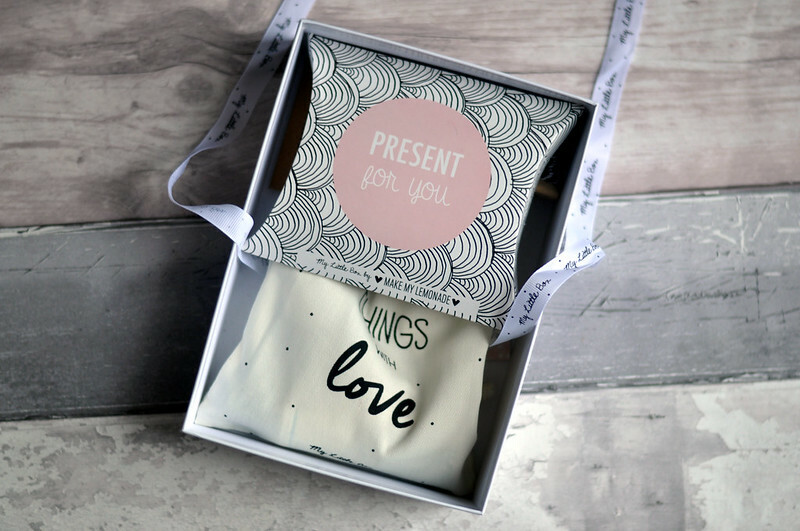 There's black and white twine for wrapping presents, the cutest gift tags as well as stickers to either create your own gift tags or wrapping paper, the options are endless. 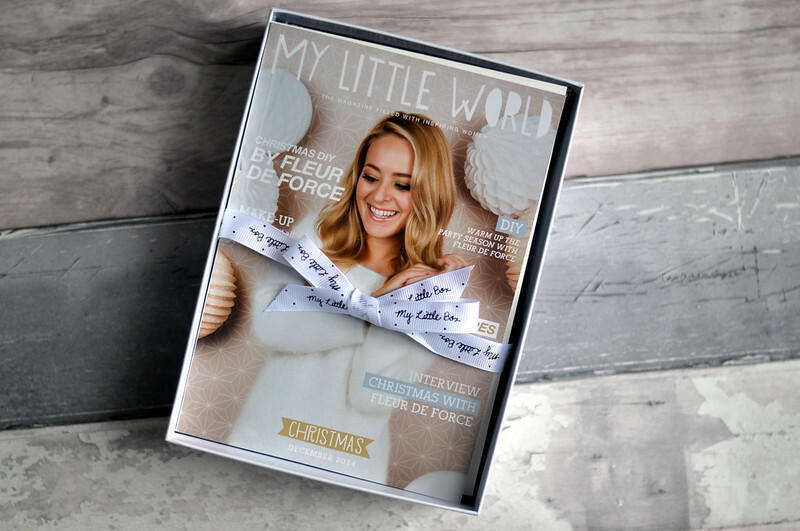 Last but not least is a cosy pink and gold knitted headband tucked away inside a box that says "present for you". All of these are by Make My Lemonade whose blog and instagram I love. 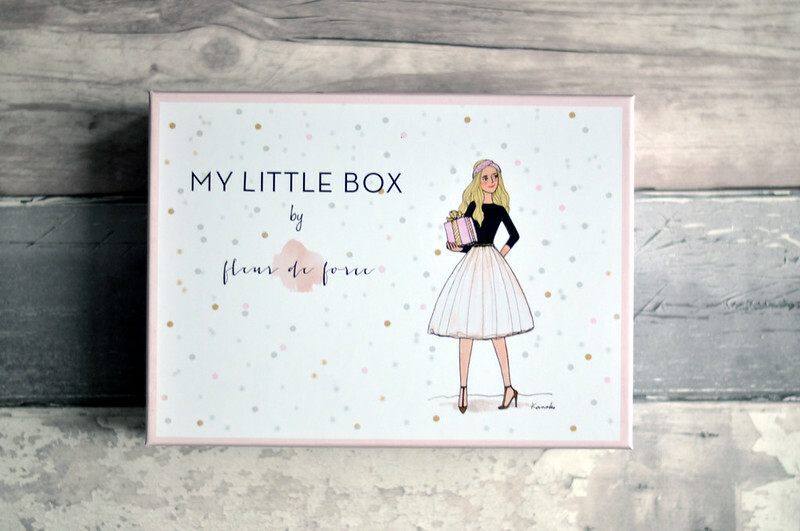 This is such a cute little box and it's so nice to see Fleur on the front - they captured her perfectly.